It’s easy to dislike Ryanair but, for all its flaws, it does at least help to drive down airfares across Europe. Of course, it is precisely that competitive spirit that has led airlines such as British Airways and Lufthansa to cut back on service along with their fares, much to many readers’ chagrin. Despite that, some of us remain (snobbishly?) loyal to the major Oneworld, Star Alliance and (occasionally) Skyteam airlines. But occasionally Ryanair offers a fare that is simply too low to ignore. Or perhaps they fly direct to/from a secondary airport that is precisely the one that you need. 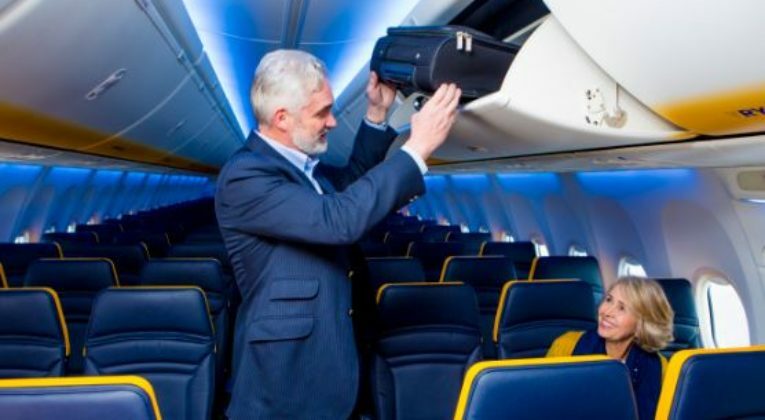 Despite my reputation, I have quietly snuck onto a Ryanair flight once or twice recently, and decided to put together a guide to surviving Ryanair as an elite status junkie. As an elite status junkie, you don’t want to take the coach with a bunch of students and backpackers to/from an airport hundreds of miles away from your final destination. But luckily Ryanair is gradually adding routes to more central airports. So just ignore those ridiculous airports that are misleadingly labelled. Once you’ve found a decent fare between two decent airports, you might get started on the booking process. Once you’ve skipped over the over-priced “Plus pack”, you should be shown the baggage policy. With the declining onboard service of British Airways, Lufthansa, etc. it can often be hard to distinguish between a low cost carrier and the traditionally full service airlines. But on the ground is a different matter, at least for those enjoying a level of elite status that provides lounge access even when travelling in economy. Being able to access a lounge, relax a bit, and enjoy complimentary food and drink pre-flight… that can be the difference between a relatively mild travel day and a stressful one. Although you won’t be accessing an airline lounge when flying Ryanair, you can certainly pay for lounges operated by third parties at most major airports. Not quite as nice, but still more peaceful than the airport concourse! Loungebuddy is a good source for information about pay-per-entry lounges. There are also a dizzying number of schemes designed to provide you access to airport lounges, in exchange for a monthly or annual fee – Priority Pass is perhaps the most well-known of the bunch. Cheers Gordon. 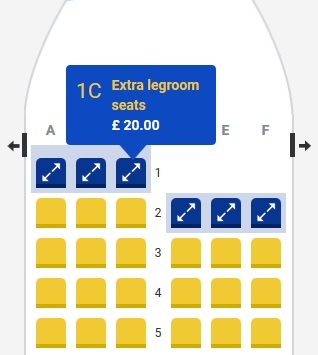 Unfortunately I’ve come around to hating Vueling even more, so in my case I often am faced with the options of a) really bad (FR) b) even worse (VY) c) crazy expensive connecting flight via London or Frankfurt. Luckily Iberia Plus keeps the promos coming, so it works out the same “cost” to fly half way round the world in Business Class instead of a low cost carrier to Greece or somewhere. Good to see all the alternatives to make flying E a little bit more pleasurable. Why the shade thrown at Southend Airport so hard? Sure, its not the closest airport to London but we are comparing it to Stansted and Luton here. So getting to the terminal door at Southend you are 5/10 minutes slower than to the other two – hardly a slam dunk especially considering the lack of faffing around on a luton shuttle bus. Then you have all of the advantages of it being a small airport! And not the zoos that are Stansted or Luton!! Fair point. I wasn’t intending to shade SEN that hard, simply point out that inconvenient airport to inconvenient airport adds a huge amount of aggravation to your journey. The same point could be made about LTN and STN. I only chose London to Barcelona because I know that Ryanair offers multiple airports on both ends. 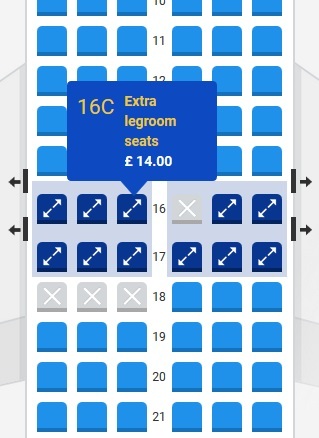 London is probably the worst city to fly Ryanair to/from because you do have substantially better alternatives. London to Barcelona is an excellent one to demonstrate this with. And you are very right that Reus is a shambles to fly to. This is sound advice and the list of horrorshow airports in the middle of nowhere is spot on. I use Ryanair very occasionally (max 1-2 trips/year), usually when there is a direct flight to some holiday destination with a small airport (e.g. RHO) that would save a multi-hour layover compared to taking a Star Alliance flight. At least they no longer land in Bratislava, Slovakia, when you fly to “Vienna”. Even for Ryanair that was taking the mick! Craig, I think you’ve missed a trick with Fast track security. This is transformational to the journey at busy airports like LHR, BCN and MAN. Much less so at SEN – where the whole thing is fast track. I really don’t get the paying for a seat assignment, but each to their own. Yes, I suppose I did miss researching fast track security as part of the Ryanair experience. Although isn’t it an airport thing, so hard to generalise? Anyhow my experience is that fast track is often just as slow as regular security. But then again I’m never flying from MAN or STN, which I’ve heard are nightmares.